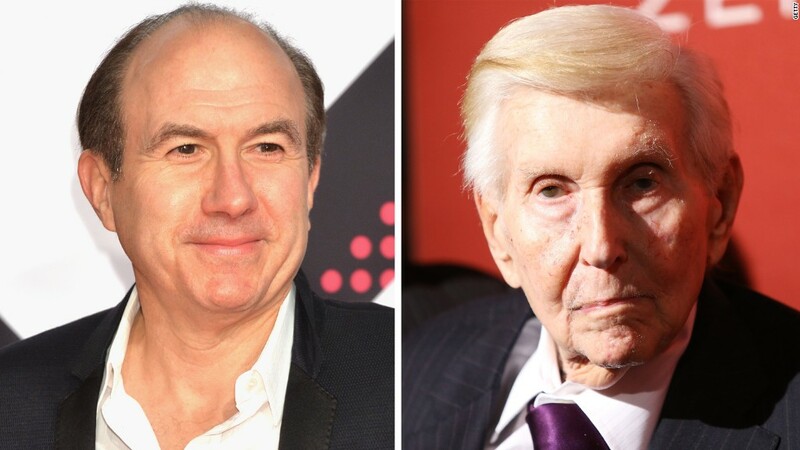 When Sumner Redstone impulsively decided to split Viacom and CBS into separate companies in 2005, the appraisal was clear: CBS would be the slow-growth Edsel, and Viacom the new-media Ferrari. More than a decade later, however, the race didn't pan out that way. CBS has maximized its holdings, built around the foundation of broadcast TV and content ownership. Viacom has struggled with its portfolio of assets, including the Paramount movie studio and cable channels like MTV, Nickelodeon and Comedy Central. Most striking of all is that CBS is thriving while Viacom has spiraled into a bitter legal battle pitting Redstone and his daughter Shari against Viacom CEO Philippe Dauman. Few saw the scenario playing out that way. At the time, trade magazine Broadcasting & Cable characterized the split as "ViaSlow vs. ViaGrow." As the Economist noted, "The idea is to hive off Viacom's traditional 'old' media assets and create a smaller, nimbler version of the company to maneuver more easily in a world of 'new' digital media." CBS CEO Leslie Moonves acknowledged perceptions that he was starting in a hole, saying, "I am happy to be the underdog." Today, the "old media" underdog is on top. In February, Moonves -- who has guided CBS for more than 20 years -- became its chairman, with the full backing of Redstone's daughter, Shari. By contrast, she opposed Dauman's appointment to be Viacom's CEO. The latter situation has boiled over into an almost Shakespearean drama, with Dauman in a pitched legal battle with the Redstones. The discord has deep roots. They include shareholder concerns that Viacom has mismanaged its cable holdings, with declining ratings at Nickelodeon and questionable decisions at Comedy Central, which recently replaced its programming chief, Michele Ganeless. Paramount saw its box-office tally decrease by more than 30% for 2015. Shari Redstone also objected to Dauman's move to sell a minority stake in the studio, and to eliminate Sumner Redstone's executive compensation. CBS paid Redstone $1.8 million in 2015. The company has had no comment about his future compensation. Given the toxic nature of the struggle surrounding Viacom, CBS and Moonves are unlikely to become involved. 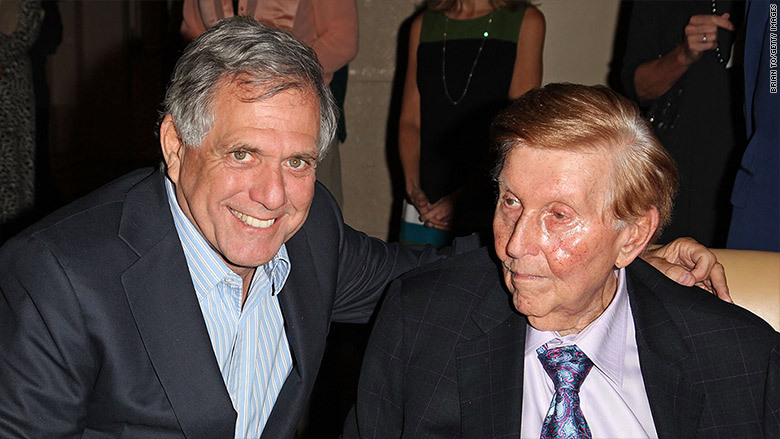 However, insiders say the uncertainty hovering over Viacom, once resolved, could smooth the way for CBS to pursue an acquisition or strategic deal with another company, something that was largely blocked under Sumner Redstone. CBS has achieved growth thanks to its ownership of programming, tapping into international demand for its shows. The company also aggressively pushed for retransmission fees from affiliated stations, cable and satellite operators, a revenue source that Moonves has said he expects to soon hit $2 billion annually. Despite its success, CBS still has areas that a merger could shore up. The company's attempts to build a movie operation, for example, haven't yielded many hits, or the synergies that would come from feeding its pay network, Showtime. When Redstone divided CBS and Viacom, part of the rationale was to allow Moonves to become CEO while keeping Tom Freston in charge at Viacom. "I was in a very difficult position," Redstone told Vanity Fair in a 2007 profile. "I had to do something. So, to make everyone happy, I had to split the company." Redstone fired Freston eight months later, and brought in Dauman. Viacom's future remains a work in progress. CBS, meanwhile, appears determined to prove that even in media's fast-paced digital age, slow and steady can win the race.